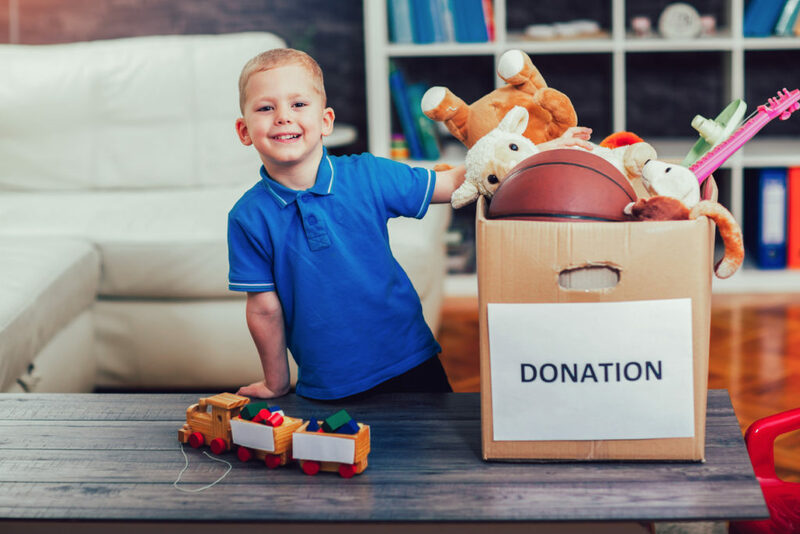 Did you know there are a variety of ways to make donations to foster children and foster homes? Putting money aside to can be difficult, but writing a check isn’t the only way you can donate to the children in need. Sure, money helps, but most organizations know that it isn’t always possible and there are multiple other ways you can give to children in need of families and homes. This might not be as obvious for some, but volunteering your time could make a significant impact as well. These foster children need advice, mentoring, and help as they grow in an environment that isn’t ideal for any child. It’s essential to ensure they’re living a fulfilling life even without their birth parents. Boy taking donation box full with stuff to donate. For foster families to provide for foster children, they’re going to need to continuously stock household items for general use. They are only given limited funding from the government, so they sometimes have to struggle financially to keep everything afloat. Grabbing a few extra household items when you’re at the store and then donating those items could make a difference in the way their houses run. This might not be a common need for many families, but there are a variety of foster children with traumatic experiences. In fact, they need to work through them in order to live a fulfilling life. Donating play therapy materials could give them an opportunity to work through their past and look forward to their future. For more information on how you can help make a difference in a foster child’s life, contact us! More than ever, foster children need support so they can live their best lives. Donating can be more comfortable than one might think.